Hand crafted with high quality organic ingredients. 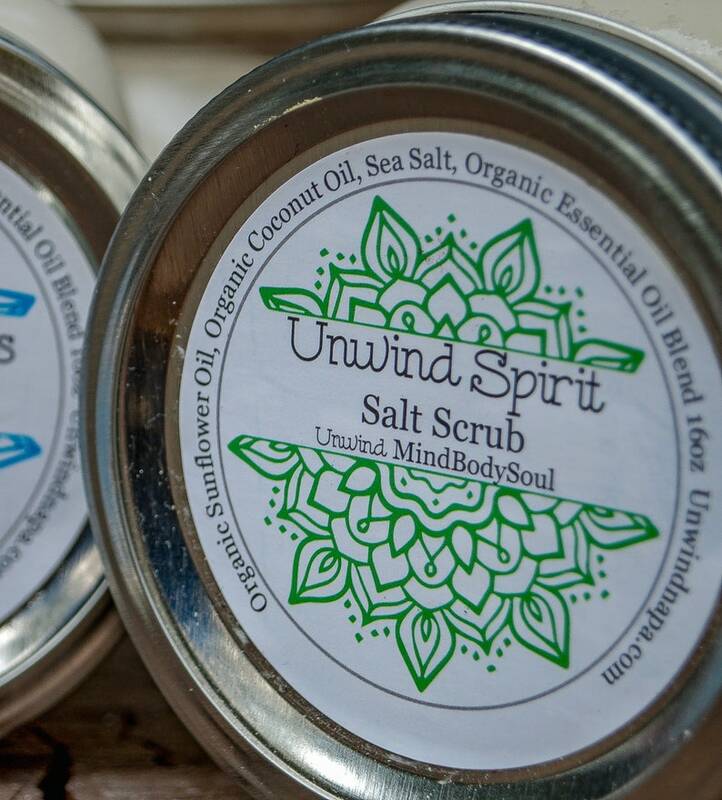 Unwind Spirit is uplifting and beneficial for the lymphatic system. It aids to move the lymph which helps the immune system and has a grapefruit citrus scent. Ingredients include Sea Salt, Organic Sunflower Oil, Organic Coconut Oil & Organic Grapefruit Essential Oil. This product is best used to exfoliate in the bath or shower. This salt scrub helps to relieve muscle soreness and encourage lymphatic flow. The salt helps to neutralize acid in the muscles and the grains of salt increase circulation in the area where applied. The oil blend moisturizes skin and leaves exfoliated skin feeling silky smooth. This product is packaged in a 16oz glass jar. This product is for external use only. Love this product!! Unwind Muscles has helped a lot with muscle soreness and stiffness. Amazing product! I’m an avid runner and cyclist which leaves me very sore. This muscle scrub is a life savor. I love using natural products and essential oils so I was so happy to find an all organic product that really works!